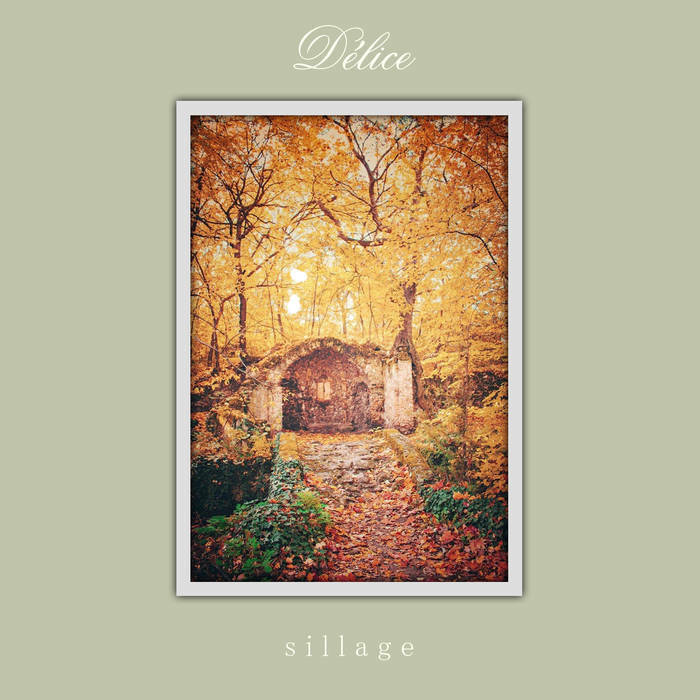 “Sillage” is nearly impossible to describe. On the surface it seems to be like any other atmospheric black metal album that’s been released in recent memory. But once you begin to listen to it you realize you’ve found one of those priceless little gems that are rare in modern music. Each track possesses an ethereal beauty all its own. This is the sort of music you could play around non-metal friends and family. While it certainly has a level of power to it, it also contains enough melodic perfection to make you forget you’re even listening to metal. I love the balanced use of light and dark throughout the album. Each is used just enough to keep things interesting; there are levels of tension within certain songs that lurk in the background as a reminder. You may forget that you are listening to an atmospheric black metal album with pagan themes, but that’s exactly what it is. “Everlasting Autumn” is a masterpiece; I could easily imagine it playing while taking a crosscountry trip to wherever. It makes you want to take a drive simply to see nature and be a part of it. While I like all the tracks a great deal I won’t deny this one is my favorite. It’s perfect; I don’t know how else to say it. If you’re seeking a way to introduce someone to this genre of music, I would suggest “Pearlescence”. It has a quiet beauty that draws you in effortlessly while remaining complex enough to keep the listener engaged. Even with the underlying gutteral vocals the song remains light and extremely melodic. As I mentioned previously, each song on the album is nearly flawless so determining any one favorite is hard to do. “Petrichor” is guitar-driven from its opening notes and is another masterpiece in my opinion. The tension created between the vocals and the background music is subtle yet intense, making you wonder if a breaking point between the two will happen. There’s a sense of intense sadness within the song that is hard to miss. It brought to mind those choices that you always wonder about late at night when sleep is elusive and your mind wanders. The track immediately following, “Redamancy,” is gorgeous. It would also be another good song to share with anyone who claims to hate metal. It’s proof that not all metal music is loud and abrasive. Some it can easily rival music found within other genres such as new age or modern classical.